As I write this I’m on a plane coming home from a week in California meeting with people, visiting a camp and working on our strategic plan. I have a love-hate relationship with traveling. I hate it because I hate being away from my family and our SpringHill staff. Yet I love it because I find enormous benefits in having a “change of scenery” including meeting with different people in different places which provides different perspectives on the challenges and opportunities I face personally and we face at SpringHill. Visiting new places – as we did this trip when we visited Mount Hermon Christian Conference Center. This allows me to benchmark myself, our team and SpringHill against another organization. Spending time in God’s creation. I’m always moved and inspired when I’m in the middle of God’s handiwork. Being in a temporary community of committed and talented people who can push, challenge, critique, discuss and dream with me. Having the space to think, pray and plan based on what I’ve learned and seen. These elements always create a powerful, transforming experience for me. And maybe it’s also why I’ve committed my career to Christian camping. Because when Christian camping’s done right, when it includes these elements (new places and experiences, God’s creation, temporary communities of like-minded people and space to reflect and pray) Christ uses it transform lives. So plan a “change of scenery” trip soon and see what good it can do for your work and for your life. And better yet, in addition to your own “change of scenery”, consider giving a young person a “change of scenery” opportunity this summer by sending them to camp (the best change of scenery there is) so they too can have a life transforming experience. 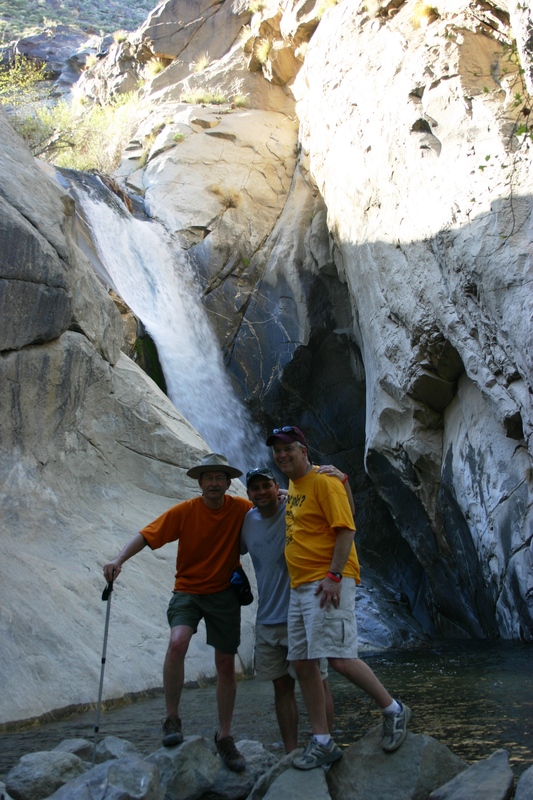 By the way to see more photo’s from our desert canyon hike click on Perry’s Photo Perspectives. ← Leaving a Place Better Than You Found It!